What do you say when a wonderful friend asks you to bring a well used and loved quilt back to life, ready for another 25 years? Why you say yes, of course! Mary Ellen’s Mom, June, made one of these quilts for each of her children and grandchildren. Mary Ellen’s brother Patrick and his wife Kathy have loved theirs for a long time and it was beginning to show a bit of wear. 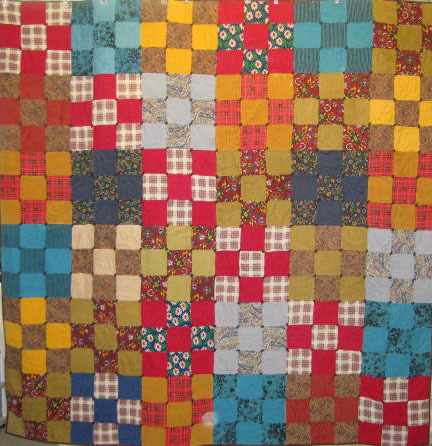 When they got together more than 20 years ago, her brother did not have many possessions, but he did have the quilt his mother made when he was twenty. (He’s now almost 54!) Her sister-in-law slept under it every night during the winters they have been together. It would fray and June would repair it every few years. 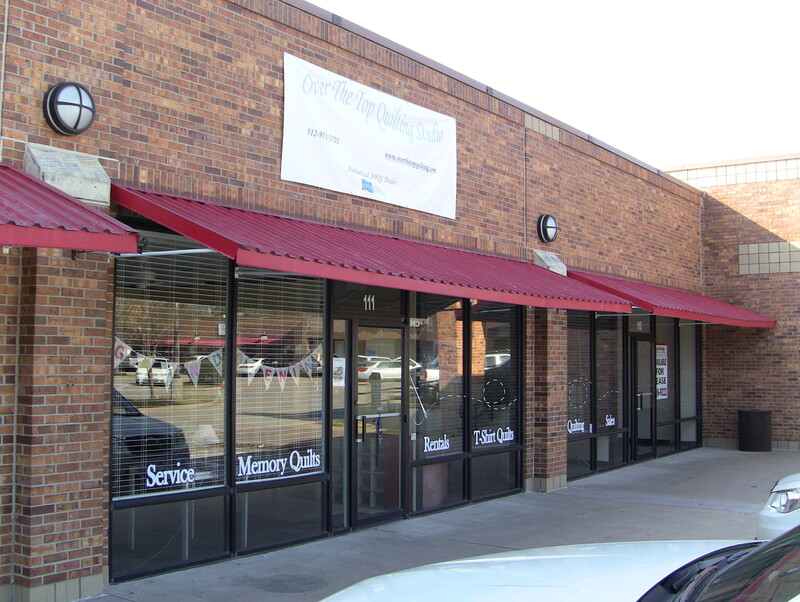 It was especially loved and warm when they lived in Colorado, very cold and far from home. Now, the seams within the 9 patches were coming apart, the edges were fraying and the ties were doing only a temporary job. Patrick and Kathy wanted this quilt, made with love by Patrick’s Mom, to last for a another quarter century, if not more. But June was no longer here to repair it as she had done in the past. 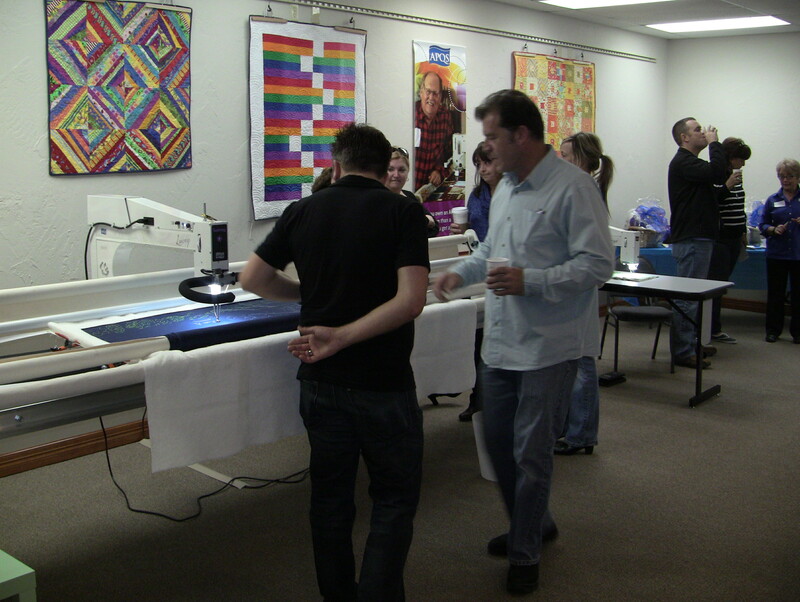 With great humility and respect, we sewed up all the open seams, used our APQS longarm Millennium machine to quilt through all layers and finally added a new binding to add the perfect picture frame. 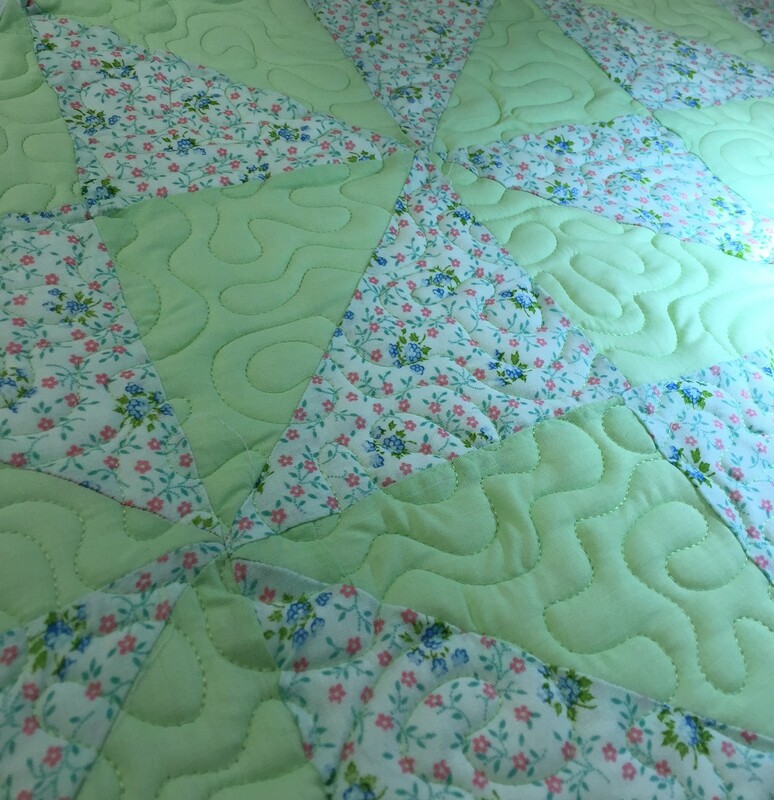 Here are Mary Ellen’s words after she picked up the quilt: Thanks you again for the fabulous job of quilt repair. I am sure that my sister-in-law and brother will be thrilled. They probably would not have trusted too many to take on the job, but I was confident that you would take good care of their heirloom! When I asked you to make it good for another 25 years you really took me seriously!